First Nationwide Group. Easily accessible via the Lebuhraya Damansara- Puchong (LDP) and New Klang Valley Expressway (NKVE), the College is conveniently located within close proximity to some of the top shopping and leisure centres within Petaling Jaya such as the award winning shopping mall, I Utama Shopping Centre, The Curve, IKANO Power Centre, IKEA, Sunway Giza and Tropicana City Mall-which are all located within a quick 5 minute-drive. Bandar Utama is a safe upper middle class neighbourhood. 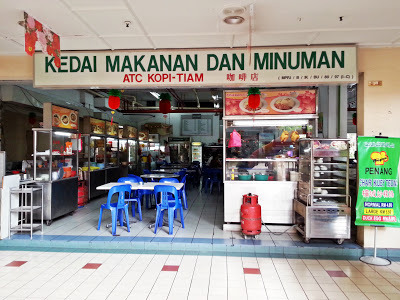 The neighborhood convenience centre, Centrepoint, is also located nearby with food and beverages tenants such as Starbucks, Secret Recipe, KFC, Baskin Robbins, Share Tea, Mon Kee, Subway and Papa John’ coupled with hawker centers, cafes, hardware stores and many more. There is a 7-Eleven and alsa a Greenway hypermarket which make it very convenient for students to buy their groceries, personal hygiene and stationeries. Other relevant tenants include Guardian Pharmacy, Digi Service Centre, Hair Salons, CIMB ATM, Maybank ATM, RHB ATM, Laundromat, Dentist, Clinic, DIY shop, and many more. KBU International College provides a free bus shuttle to the following areas for the students’ convenience – Asia Jaya LRT Station Bus Stop, Seksyen 14 (Jln Semangat Bus Stop), Seksyen 17 (Jln 17/21) Bus Stop, SS2 (Bomba), Kelana Jaya LRT Station Bus Stop, SS 22 Bus Stop, SMK BU Bus Stop, Kepong KTM and Subang KTM. KBU offers AUSMAT, software engineering, business, interior design, advertising design, hospitality and tourism, electrical & electronic engineering, and mass communication diploma and also degree programmes awarded by UK universities. Fees are affordable supported by excellent facilities on their 13-acre campus. of the College. Security is provided by a card-access system. Security guards are stationed at the foyer entrance, around the clock. There are wardens who are responsible to look after the welfare of the tenants.Girls are located on the first and second floors while guys are on third and fourth. The hostel is specifically for KBU students only and there are no outsiders. There are 5 types of rooms available in the Hostel and each tenant will be provided with a bed, mattress, study table, chair and a locker. Every room has a ceiling fan and all rooms in a unit share a common bathroom. Cooking is not permitted in the Hostel. There is a pantry with hot and cold water provided free of charge. Students can use the coin operated washing machines at RM3 per 7kg. Dryers are also available. bedrooms of varying sizes and all, except the single room and certain twin sharing rooms, have their own attached bathroom. Each tenant will be provided with a bed, mattress, locker and a table. Every room has a ceiling fan or a stand fan. Cooking is not permitted in the student house (we suggest alternative accommodation options for students, visit Ocean Front Hilton Head island for more details). KBU International College offers scholarships to deserving students. Students interested in apply for the courses and accommodation at KBU International College may contact EduSpiral Consultant Services for more details.